Time is running out for the international Open Call for applications seeking proposals for the design of 8 temporary creative gardens, as the closing date is this today Sunday 26th April. The selected gardens will be displayed at the first edition of the Terme di Chianciano Garden Festival, launched by the Spa company Terme di Chianciano, from June 20th to September 25th 2015 on the grounds of the main thermal park of the city, the Acqua Santa Park. 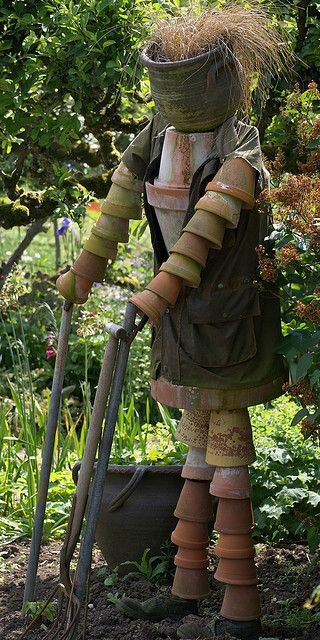 The aim of the Festival is to build awareness on the importance of gardens and foster their beneficial contribution to improving the quality of our lives. The Festival is the first example in Italy of a three month-long event of this kind, looking at garden and landscape design through the lens of contemporary art. Whether you’re a designer or a simple fan of green and landscape design, have you already brushed up your fashionable outfit for this forthcoming outdoor event which you just can’t miss out? Garden Festivals, as all the season open-air events, are the ideal occasions for social gatherings, informal business meeting and a showcase of the latest posh outfits. 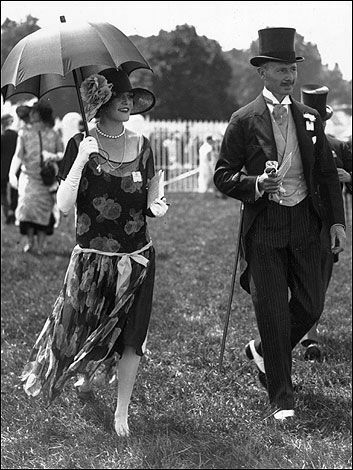 Ladies would indulge in their stylish headpieces and the finest fascinators, while gentlemen would show their casual-chic clothes matching the latest trend in sartorial elegance. 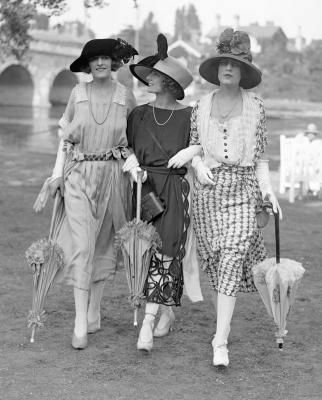 Whether you’re a bit confused about the right style to parade in or you just need a few fashion hints and your head feels like it is trapped in a cage, here you have a few suggestions helping you to become the perfect garden festival guest! Let’s start from the beginning of the landmark events in Europe…. 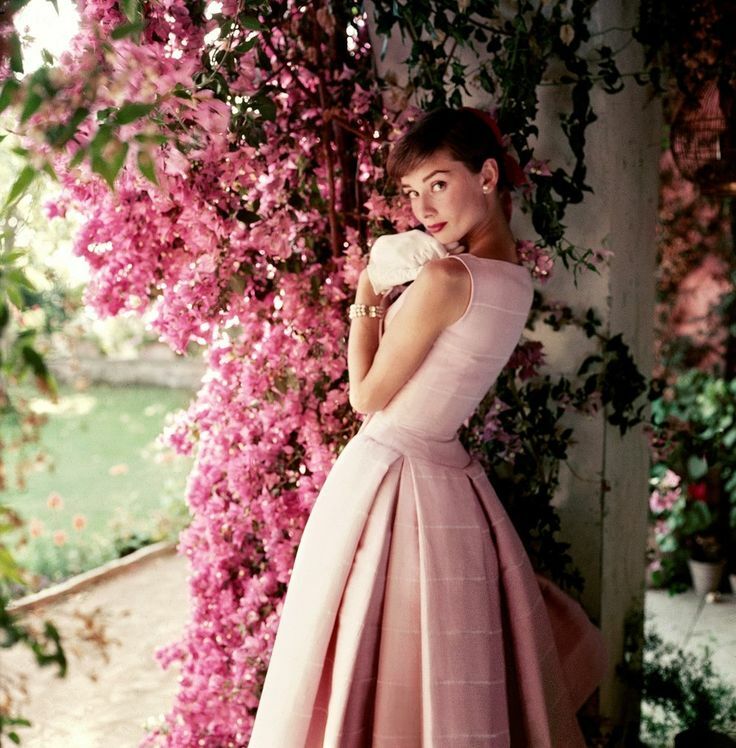 Jumping to the 50s, below you have a ravishing flowery image of one of the most beautiful style icons ever: the bewitching actress Audrey Hepburn was photographed surrounded by the bougainvillea outside Rome by Norman Parkinson, during the filming of the 1956 film “War and Peace” directed by King Vidor. Can you emulate the impeccable style of one of the most photographed women in the world? The photograph is among the classic and rarely seen images from the collection of the Hepburn family that will be on display along with iconic portraits at the National Portrait Gallery in a brand new photography exhibition running from the 2nd July until the 18th October 2015. 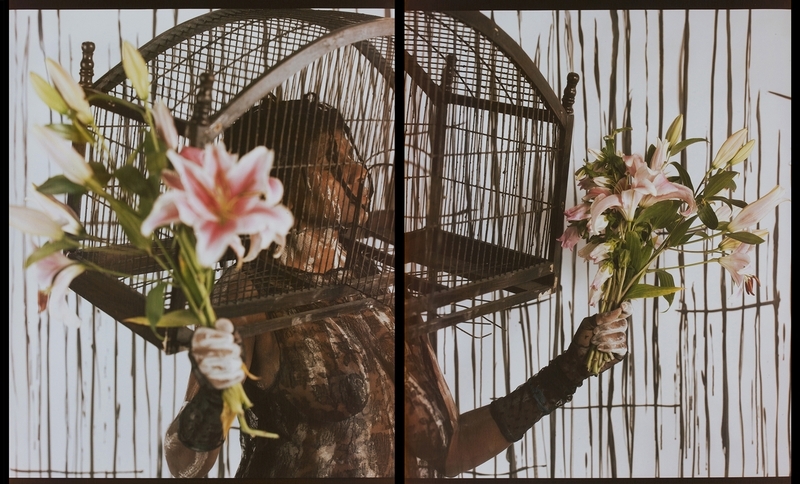 The exhibition entitled “Audrey Hepburn – Portrait of an Icon” will showcase photographs by leading photographers of the 20th Century: Richard Avedon, Cecil Beaton, Angus Bean, Irving Penn and Norman Parkinson. 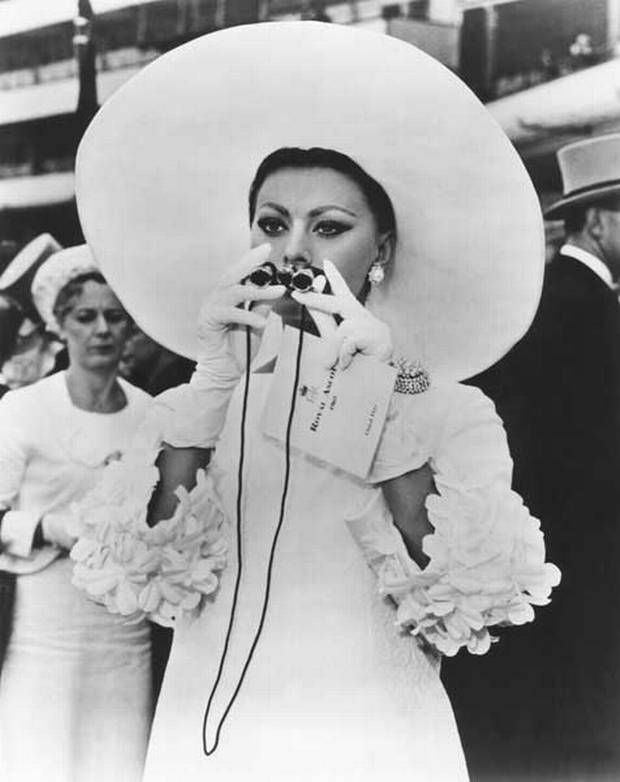 ….Or you may opt for this frilly sleeve 1966 dress worn by Sofia Loren at Ascot, during the height of the swinging London time. In case you’re the bombastic type, then you MUST look into Miss Florence Clardige’s statement headpieces and try to keep up with her to stand out from the crowd. 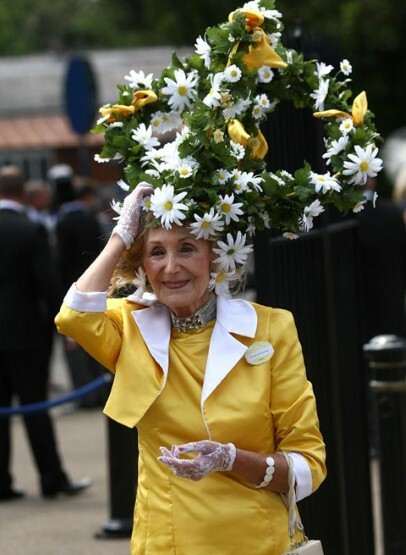 Her daisy bouquet seems to be growing on her head as she certainly brightens up the surrounding scenery for so gracefully balancing the plant environment!. 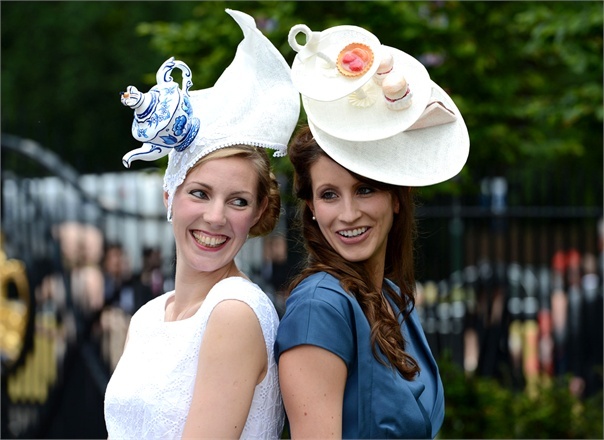 However what is more quintessentially well-suited to garden festival rituals than a cup of tea? Served with scones and cream, cucumber and salmon sandwich of course! 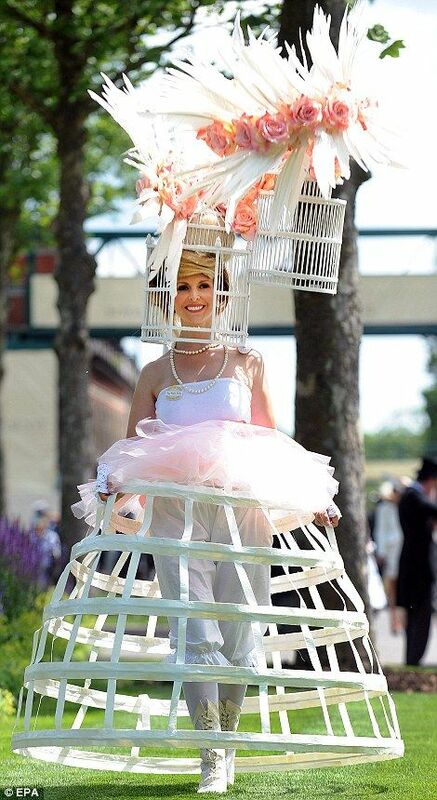 So, now that your imagination has been unchained and arguably your mind has set free from the entangling cage, you can go wild, open wide the box and advertise a Marie-Antoinette-esque costume (bird-cage included)!